To strengthen the organization, grow existing projects while developing new ones. We go the extra mile to get excellent results. Our hope is our clients feel appreciated, supported and experience a real difference in their journey to successful settlement. We accept people for who they are. We show respect by being present, listening and open communication. We do what we say we will do. We are honest and we are accountable for our actions. Hamilton Multicultural Services (HMS) Trust was established as a Charitable Trust in February 1999. The Trust was formed out of concern regarding the gaps in services for people from different cultural, ethnic and linguistic backgrounds. The strategic focus of the Trust was to improve access for refugees and migrants to aid successful settlement and to increase the awareness of receiving communities. The first service offered by the Trust was the provision of an Interpreting Service and in September 1999 the first group of bilingual students trained as interpreters at the Auckland University of technology (AUT). In May of 2000 the Interpreting Service opened and operated from an office in Knox Street. The Trust moved in October of 2004 to the Multicultural Centre in Boundary Road (the former Marist Rugby Club rooms). October 2006 the Multicultural Centre was renamed the Waikato Migrant Resource Centre. By this time the projects and services of the Trust had grown considerably and the Trust also managed the Community Centre at the WMRC. Ellie began working for the Trust at the end of January 2010. Ellie comes to the Trust from a background in the community and voluntary sector, having worked in this capacity with the Tertiary Education Commission and with Wintec. Ellie has a sound understanding of the relationships between government and community groups. 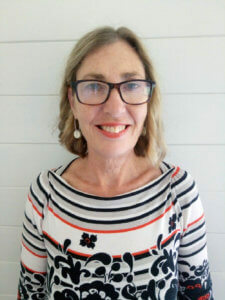 She has a Bachelor of Social Sciences in Adult and Community Education and Sociology and also comes to the Trust with significant local and government networks. Tania has been working for the trust since 2009 and has significantly improved reporting and accountability requirements for the Trust. Being an immigrant from South Africa, she has a strong and personal understanding of the migration experience. Tania now manages the Passport 2 Drive Community Driving School and the national Refugee Driving Mentor programme. She loves the challenge of working in a staff team where diversity and different types of expertise are so greatly valued. 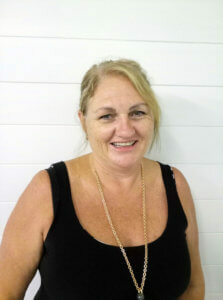 Tania’s background includes developing her own business in detecting fraud and was until recently the Treasurer for the Motel Association of New Zealand. Leanne joined Decypher in August 2011 and quickly developed a passion for supporting vulnerable people in our community for whom language is a barrier. Leanne had previously worked in management roles in the not-for-profit sector for over 10 years and has lived the majority of her life in the Waikato so brought extensive networks and knowledge with her to Decypher. HealthRight Interpreting – providing interpreters to enrolled refugee clients in Midlands General Practices in Hamilton. Computers in Home – A programme which delivers computer learning modules for refugee families with school-aged children.